The high-temperature mineral chimney ‘Jabberwocky’. 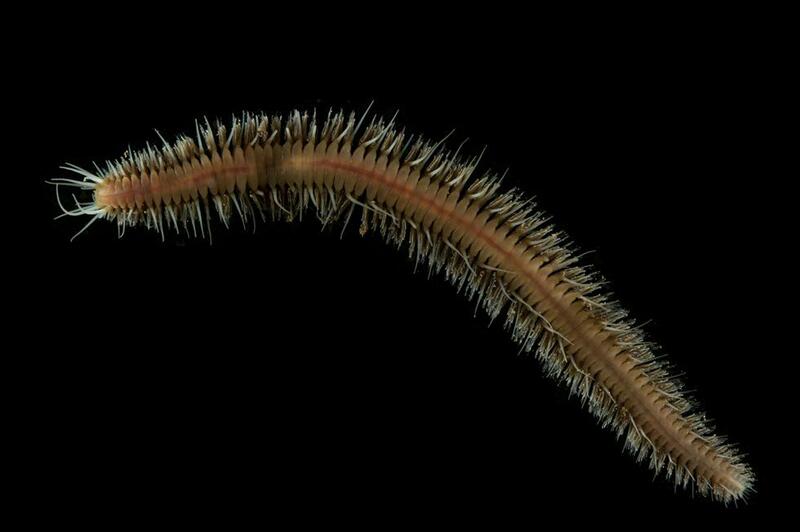 Scientists at the University of Southampton have discovered six new animal species in undersea hot springs 2.8 kilometres deep in the southwest Indian Ocean. The unique marine life was discovered around hydrothermal vents at a place called Longqi (‘Dragon's Breath’), 2000 kilometres southeast of Madagascar and is described in the journal Scientific Reports. A research team, led by Dr Jon Copley, explored an area the size of a football stadium on the ocean floor, pinpointing the locations of more than a dozen mineral spires known as ‘vent chimneys’. 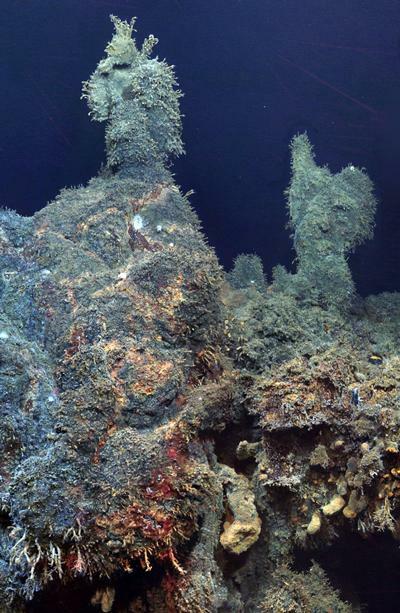 These spires, many of which rise more than two storeys above the seabed, are rich in copper and gold that is now attracting interest for future seafloor mining. However, the spires are also festooned with deep-sea animals, nourished by hot fluids gushing out of the vent chimneys. 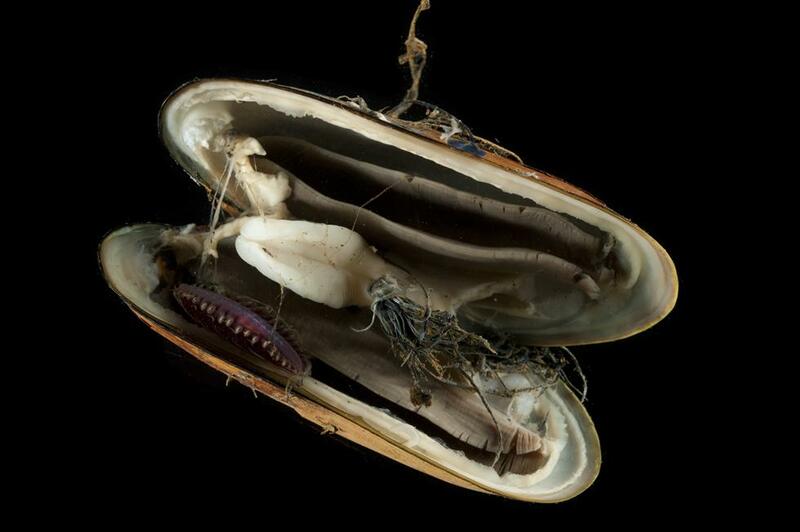 The team, which includes colleagues at the Natural History Museum in London and Newcastle University, carried out genetic comparisons with other species and populations elsewhere to show that several species at Longqi are not yet recorded from anywhere else in the world's oceans. The expedition, which took place in November 2011, provides a record of what lives on the ocean floor in the area, which is licensed for mineral exploration by the International Seabed Authority of the United Nations, before any mining surveys are carried out. The Longqi vents are the first known in the region and the expedition was the first to explore them using a deep-diving remotely operated vehicle (ROV). 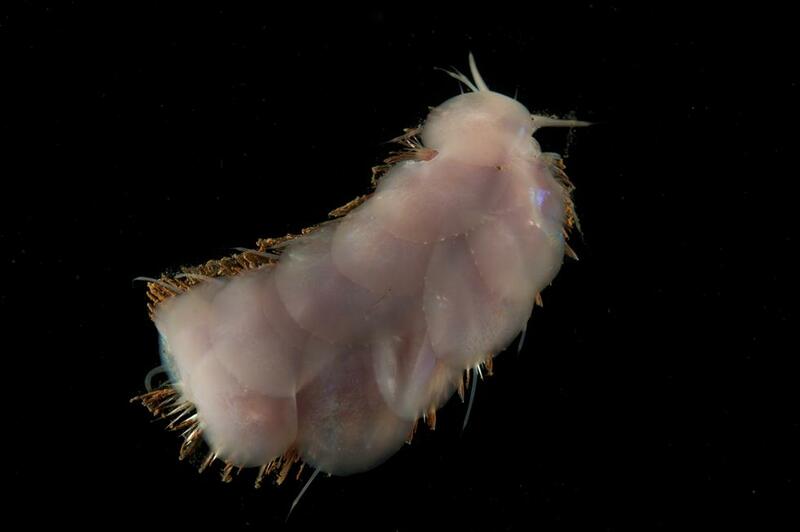 The deep-sea animals that are so far only known from Longqi include: a species of hairy-chested ‘Hoff’ crab, closely related to ‘Hoff’ crabs at Antarctic vents; two species of snail and a species of limpet; a species of scaleworm; and another species of deep-sea worm. 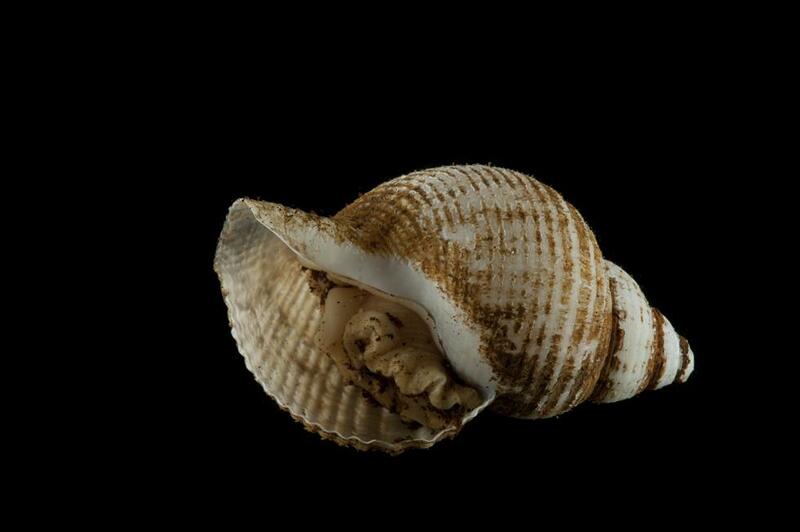 Apart from one species of snail, which has been given the scientific name Gigantopelta aegis, most have not yet been formally described. 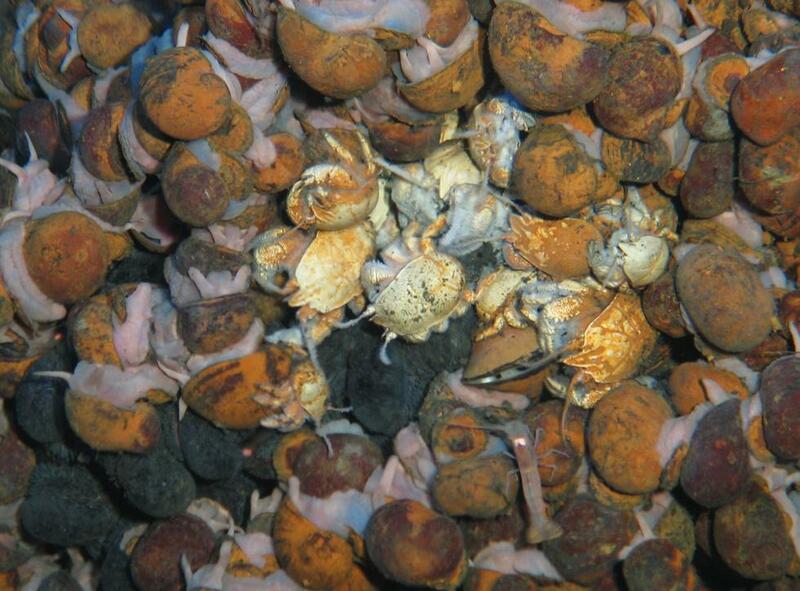 The scientists also found other species at Longqi that are known at other vents far away in other oceans. 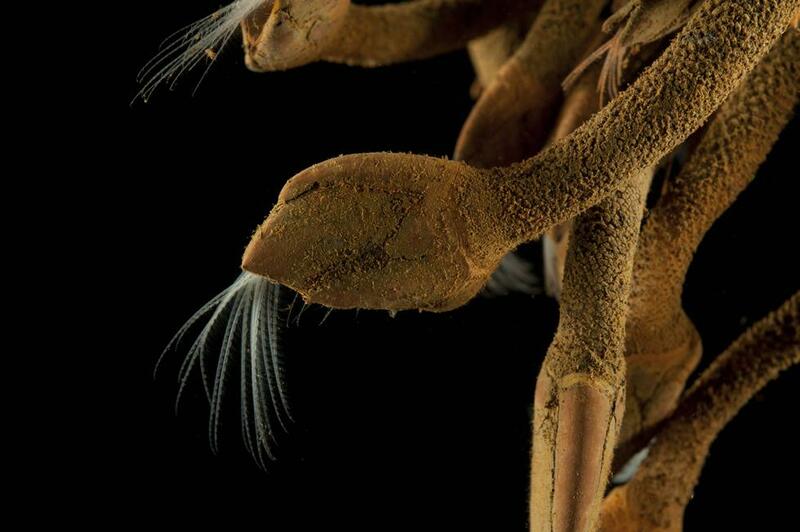 Another new species of scaleworm lives at vents on the East Scotia Ridge in the Antarctic, 6,000 kilometres away, while a species of ragworm live at vents in the eastern Pacific, more than 10,000 km away. “Finding these two species at Longqi shows that some vent animals may be more widely distributed across the oceans than we realised,” added Dr Copley.